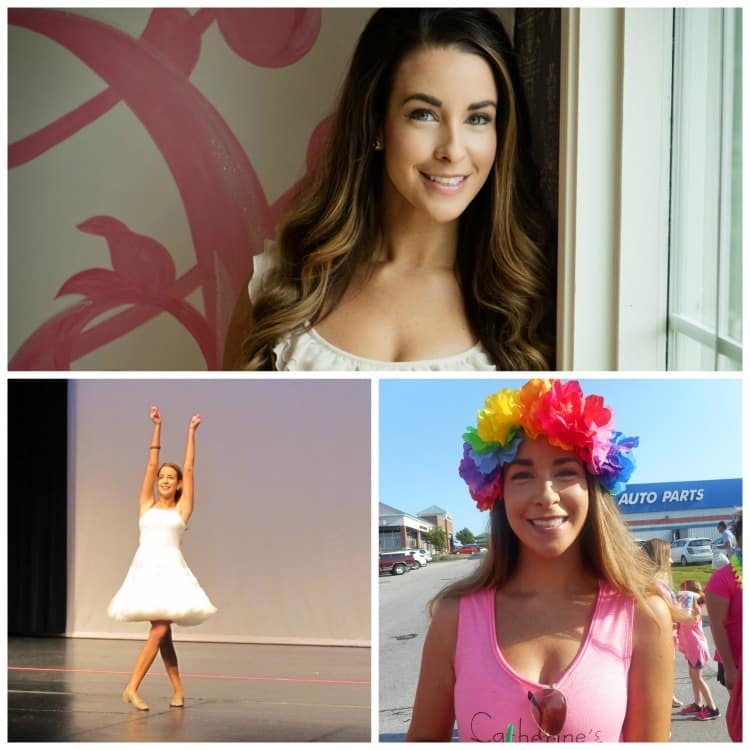 Catherine Stephenson is the owner and a dance instructor. She started dancing at the early age of three and she was very shy. Se didn't like getting on stage because it embarrassed her. Then one day it just clicked, thanks to the dance teacher she had. When Catherine was 14 she started giving dance lessons in her bedroom that she turned into a Dance Studio. She made the dance team as a sophomore at St. Pius X. Girls she knew in high school were impressed with her dancing and her ability to teach dance as well. At the time, her friends were taking dance classes in the area but felt like they were missing out because the class sizes were so big. Catherine started teaching dance to her classmates in her bedroom. She and her students eventually wore out the carpet and her brother and dad installed a wood floor and mirrors in her room. It was that home improvement that became the impetus for her desire to share her skills with others. She decided to become a competitive dancer. She held her first recital for her students in the Weatherby Lake Clubhouse where they pulled out chairs, and boom box, for the handful girls that were students. She started teaching more students and added more recitals, one at Christmas and one in the Spring. The Recital venue was moved to Riverstone. When she and her family went looking for a location for a dance studio, they didn't have to venture far and found the space in downtown Parkville. Catherine’s Dance Studio opened in August of 2013. She believes her dream of teaching and owning her her own dance studio is only made possible through the love of her husband, daughter, son, mom, dad, and brother. They encouraged and supported her through it all. She is especially grateful to her mom, Judy. She says, “This dream couldn't be possible without my mom." Catherine has taken the experience with her own ballet teacher when she was a little girl into her heart and tries her best to duplicate that for her students with every dance class she teaches. As a dance instructor, Catherine knows how important it is to have a teacher who not only knows how to teach ballet but has the personality to help a dancer love to dance. A teacher whose passion is contagious. A teacher who loves children and loves being the person who exposes them to dance.